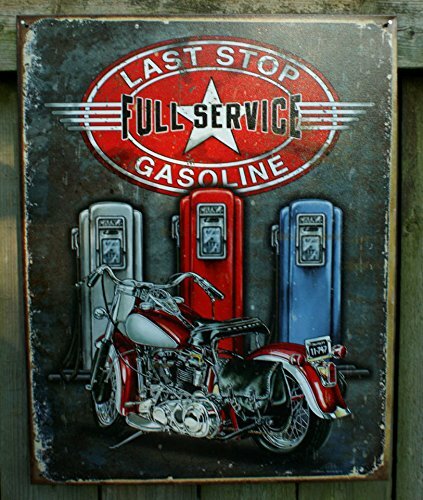 This motorcycle tin sign sports a weathered finish that lends a vintage look to your retro decor. Made in the USA. Quality lithographed tin sign makes a fantastic addition to your man cave. Measures 12.5" W x 16" H.